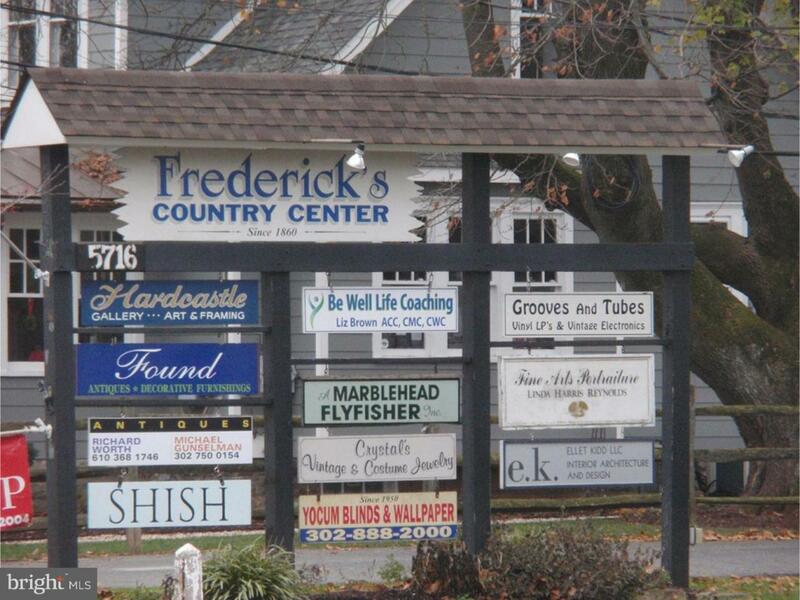 Frederick's Country Center is located in the heart of Centreville. has frontage on Rte 52 or Kennett Pike and on Owls Nest Rd. 15 separate units are leased / occupied. 2000 sq ft ranch home is included. Center is popular for retail and office tenants; most long term. There are several residential occupied units, occupied by family members. Perfect opportunity to take an existing small center and to expand / revitalize / redevelop into a high end center. The complex currently has a 3 story 1800s building fronting on Kennett Pike, two long multi-story buildings, a third out building and a 2000 sq ft ranch home. Most tenants have been long term, but several new businesses have joined the tenant roll. Rental pro-forma will be supplied to interested parties. ( most leases are in range of $15 per sq ft.. No CAM inclusion. ),Property is services by on-site septic and well. Listing courtesy of Witsil Realtors.